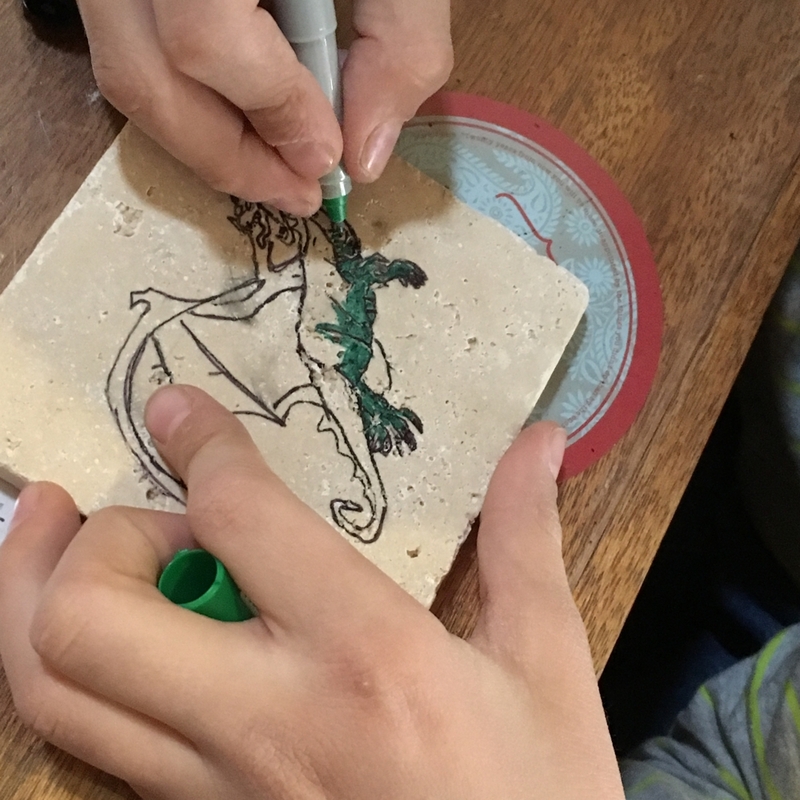 This project makes a great gift and it’s fun to do with the kids! It’s pretty fast- most people can do it in under 30 minutes. Although it will vary based on how much time you spend sketching. 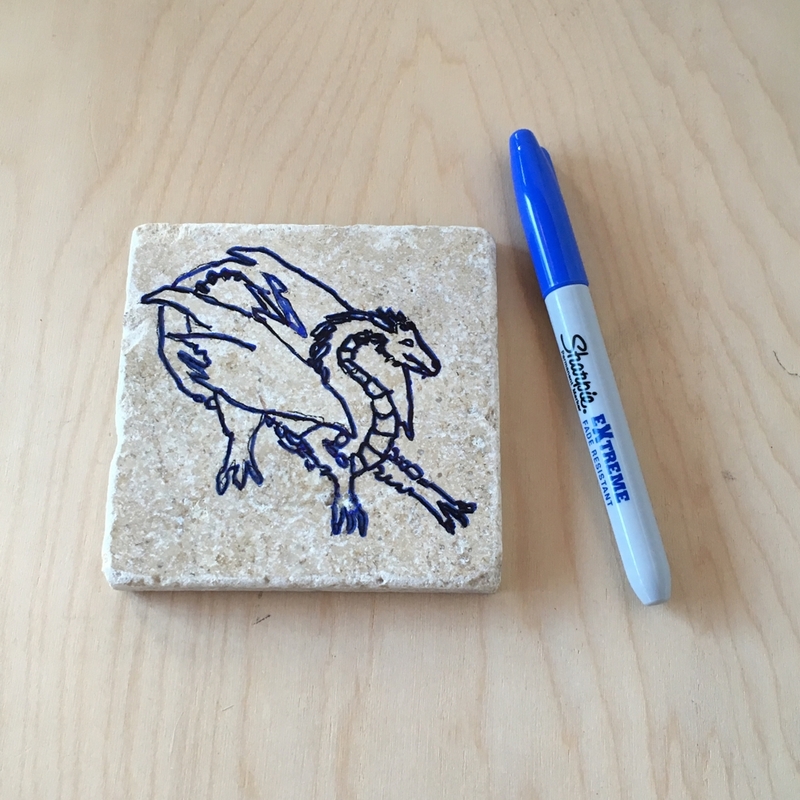 Before I lay out the procedure, let me explain your options for transferring the image to the tile. If you’re going to trace, use carbon paper or an equivalent. Be sure to tape the carbon paper in place on all four sides so it doesn’t wiggle around! Trace the image with a red ball point pen. This allows you to see where you’ve already traced and push with an appropriate amount of pressure. If you push too hard, the bumps in the tile make you slip off course. If you don’t press hard enough, the carbon doesn’t transfer. Release only three sides of taped carbon paper and peak at your drawing. If you missed tracing something, carefully lay the image and carbon paper back in place and fill in the missing pieces. Once everything is traced, remove the carbon paper and image. 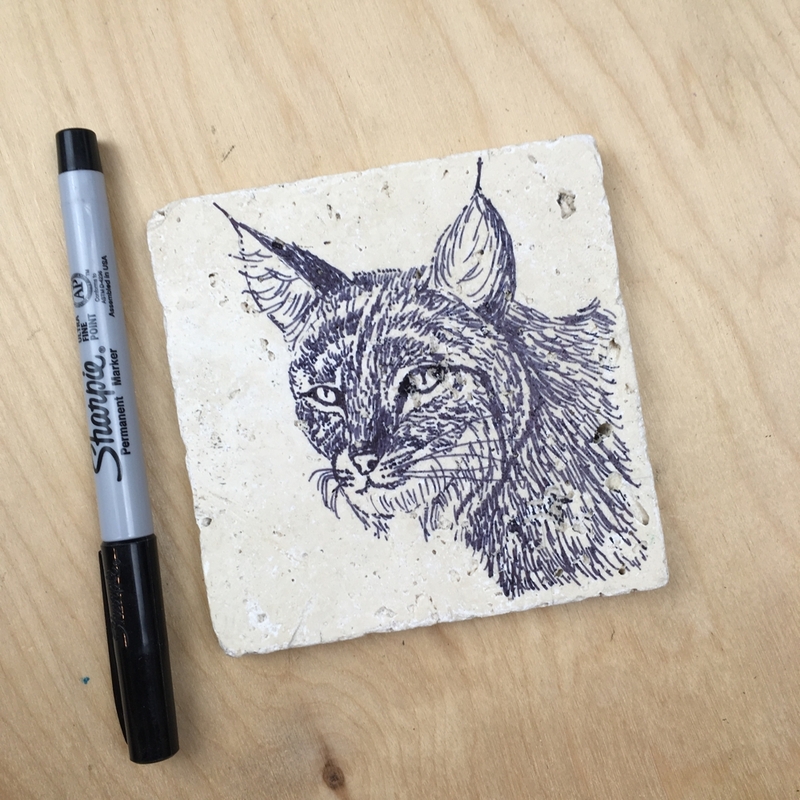 Lightly draw in pencil directly onto the tile. 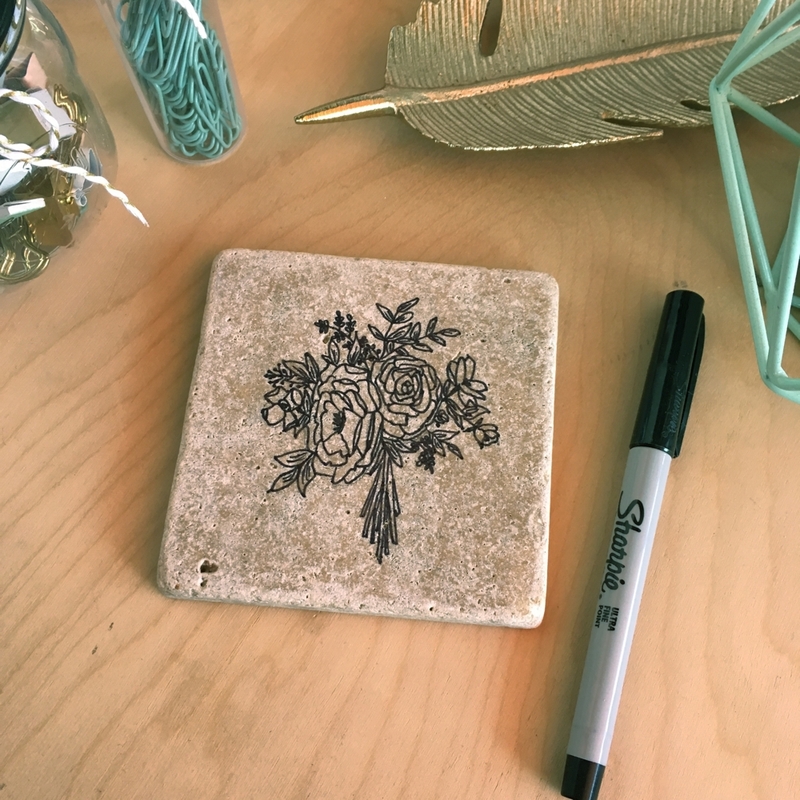 Draw an image on paper and then transfer it to the tile. 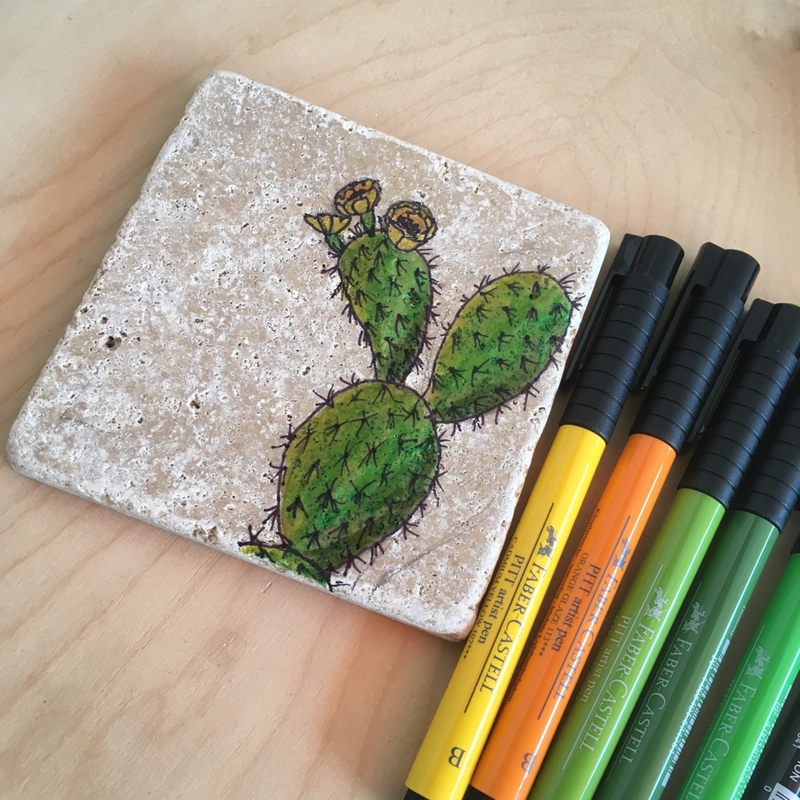 Print an image you like and transfer it onto the tile. Re-trace over the lines with a Sharpie. Bake in an oven at 200F for 20 minutes. Color in the image with Sharpies if desired. 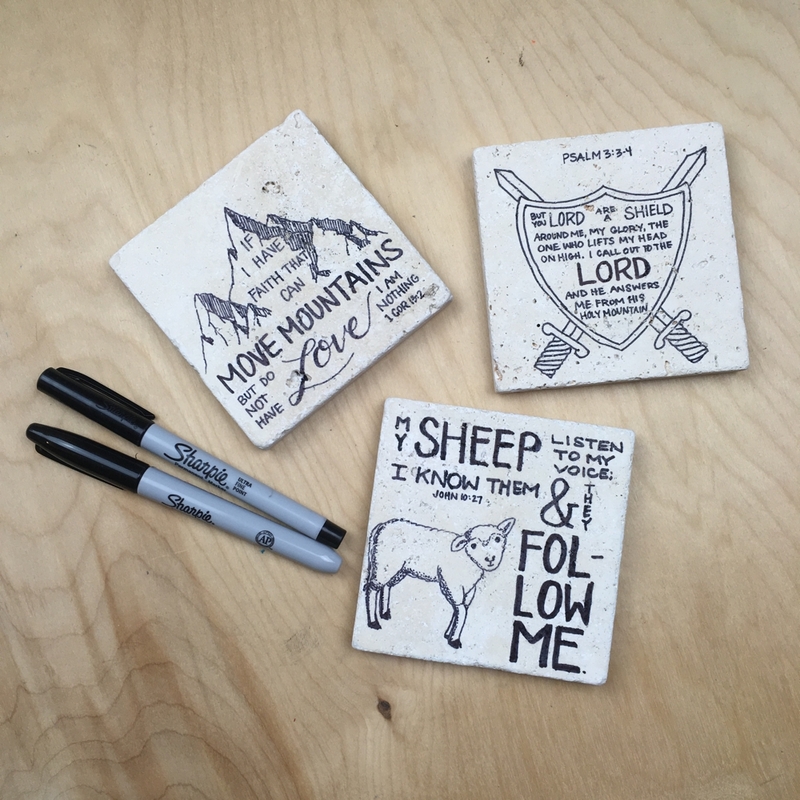 If you added more Sharpie, re-bake! 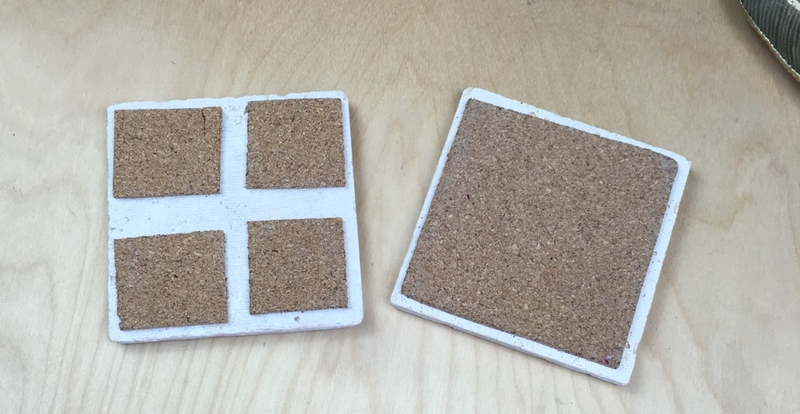 Add a layer of cork to the back with glue or use adhesive cork dots. 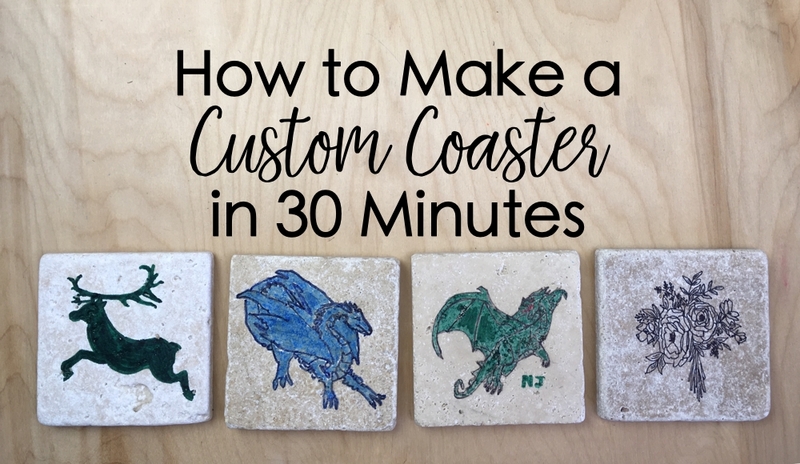 You can add a solid square of cork or use smaller pieces on the four corners of the time. Do not seal the ink with a sealant! 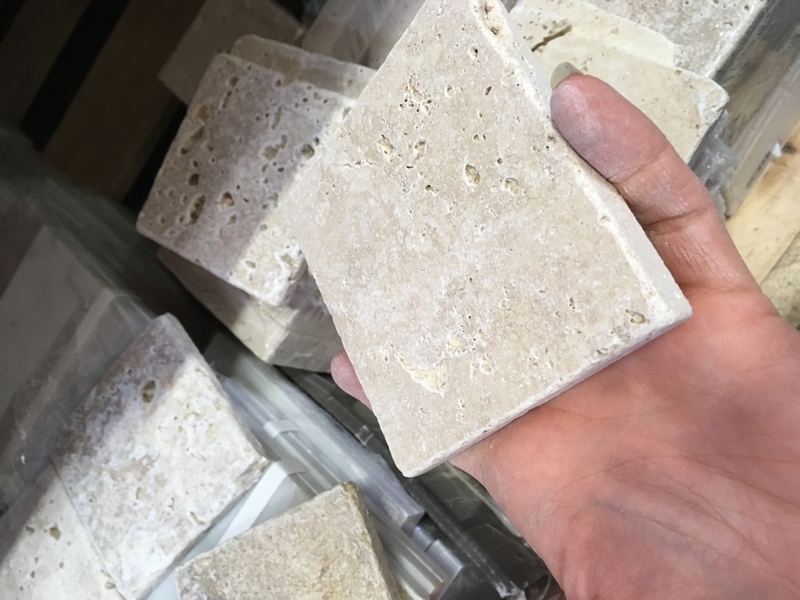 The unsealed stone allows it to absorb some condensation from iced drinks. The baking process will set the ink so it does not bleed. 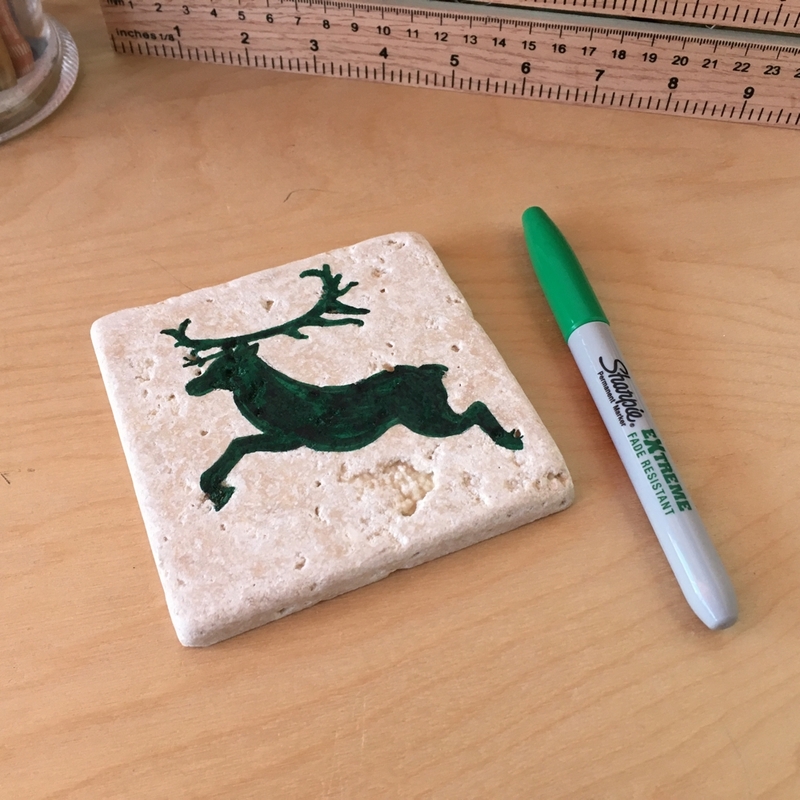 If your coaster ever gets dirty, wash by hand with soap and water. Be sure the cork is dry before you set it on a wooden surface!